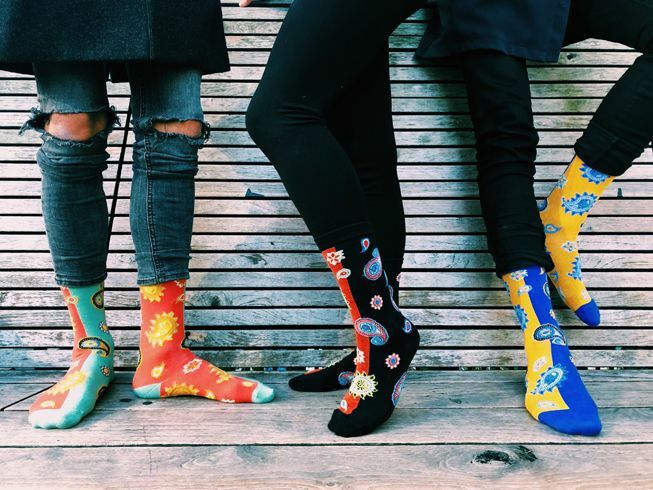 Shop sheers, knee highs, over the knees, novelty, mens, dress, florals and more at this three day New York sample sale from Ozone Socks, where you can shop $2 per single sample sock, or $4 per sample pair - plus half off retail pairs! Payment is by cash and credit cards. I didn't enjoy this sale. I was told the sheer socks were $6.00, but when I was ready to pay for them I was told that they were 50% off of the original price. I bought one pair for $19. Wasn't a happy camper! Clean inviting space. Very few womens knee hi socks. Almost no Japanese and agressive women grabbed them all up! 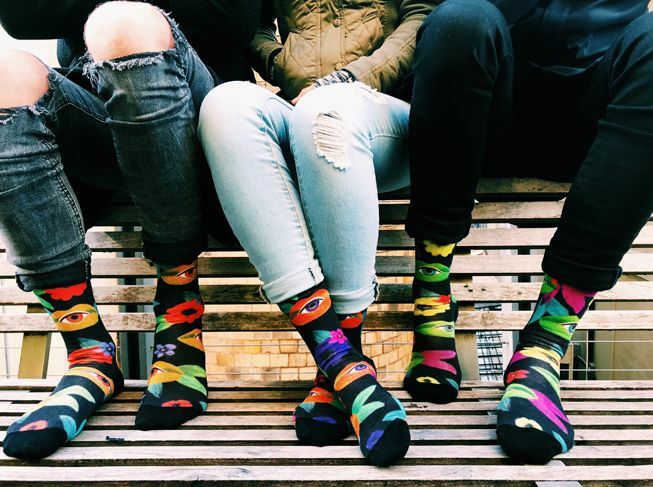 No difference in price between 2 single socks and those in pairs. Makes not a lot of srnse.